The Halloween season is almost here, and the Church of Celebration has begun to make preparations for its annual Trunk or Treat event. This year, the church’s family-life pastor, Ben Gores, has taken charge of the festivities with a plan to make a deeper connection with the community through expansion and compassion. 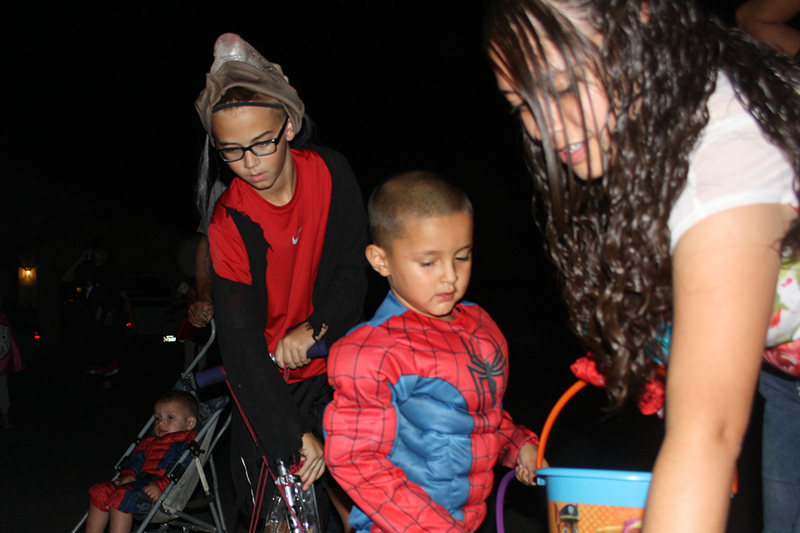 “Halloweenie Zones” will return and in most of the neighborhoods in Maricopa. The goal is to have enough COC families volunteer their homes and provide grills and decorations to have multiple zones for every homeowners’ association – hopefully reaching 30-40 neighborhoods. The zones will be open 6-8 p.m. on Halloween night. Each home will provide food, drinks, games and – of course – candy. This year’s Halloween event will include a canned-food drive benefiting F.O.R. Maricopa. Trick-or-treaters are encouraged to bring canned-foods to Halloweenie Zones in exchange for candy. The addition of a canned-food drive “gives an opportunity for people to not just give but receive,” Gores said. This is all in addition to the usual menu of hot dogs and drinks provided at each home. Trick or treaters and families can come to one zone or visit all of them. Gores encourages people to visit as many as possible. Gores hopes to bring the community together through family-friendly fun and food.